To develop and sustain successful public-private partnerships, companies must ensure long-term sustainability. Clearly defining success metrics, establishing a baseline, and developing a process for continuous monitoring helps PPPs determine what collaborative success looks like. Monitoring, analyzing, and reporting these metrics and outcomes can help prioritize projects as well as provide continuous learning, improvement, and replication opportunities. It’s also important to consider how the political and partnership landscape may evolve over time and to update the PPP model, transfer ownership, or implement an exit strategy accordingly. 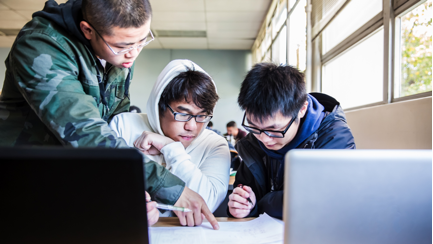 Cisco Networking Academy, a world-leading IT skills and career building program, addresses the growing need for IT talent by equipping students with entry-level IT and 21st-century career skills. Networking Academy is Cisco’s longest-running corporate social responsibility (CSR) program, and this year, we are celebrating 20 years of impact. We focus on keeping up with rapid technological change, student learning preferences, and employer needs to ensure Networking Academy remains, and will continue to remain, relevant and successful. As such, our program is insights-based and strategically designed to build interest and competency. An important piece of our long-term strategy is making sure technology and innovation create inclusive opportunities, enabling all people and societies to thrive. As such, we recently committed to expanding the Cisco Networking Academy for people with diverse abilities. Over the past decade, more than 3000 students with disabilities have benefited from Networking Academy courses, delivered in partnership with organizations helping students with vision, hearing, and selected physical disabilities. We are scaling the reach of this program and have a goal to empower 10,000 students with disabilities within five years. Digital skills can be an equalizer for people with disabilities, who often have poorer health outcomes, lower education achievements, and higher rates of poverty than those without disabilities. Wilson Nyabera, who is hearing impaired, grew up in Kibera, Africa’s largest slum. 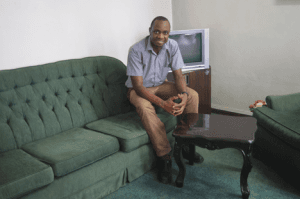 Wilson earned his Cisco CCNA certification after taking Networking Academy courses at Deaf Aid in Kenya, and now works as a network engineer for Copy Cat, an office automation and information technology company. With his salary, he is able to invest in his community and his family, paying his mother’s rent and his younger sister’s school fees. Over the past 20 years, we have seen firsthand how critical PPPs are, as we’ve worked in collaboration to grow Networking Academy into the world’s leading digital skills and career building program. Bringing new digital professionals into the workforce and building an inclusive digital economy is good for society and business, benefitting partners, customers, and developed and developing economies. But, most importantly, it benefits millions of students around the globe who receive affordable and accessible education. Have a question or comment? Tweet at @CiscoCSR and be sure to join us September 21, from 10-11 a.m. PT, for a #CiscoChat with PPP thought-leaders.